Compact and easy to use, these LED drivers are for use with 12 Volt DC constant voltage LED lighting product. Outdoor LED transformers also available in 30W, 60Watt, 132Watt Configurations. Dimmable Magnetic LED Drivers stocked in 20W, 60W, 150W and 300W configurations. Constant Current LED drivers available on request. These LED Drivers are stocked in Vancouver, BC Canada. This is a small very and light class 2 LED driver or LED transformer is for use in indoor installations. It can be mounted to the surface where installed. Very compact size of 2" x 1.5" x 0.75". 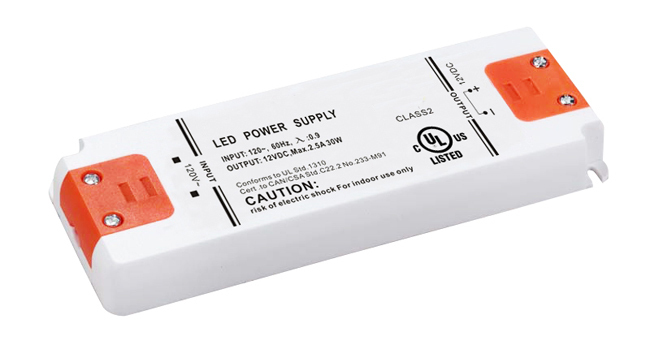 This LED power supply fits standard 4x2" and 4x4" electrical boxes.